The success of Filippo Berio Olive Oil stems from the dedication of just one man, who set out in 1835 to shape his future and follow his dream. Filippo Berio is much more than a name on a bottle. Filippo Berio was born on December 8th 1829, in the Ligurian town of Oneglia not far from Genoa. A Young Filippo Berio moves with his family to Lucca, a province of Tuscany famous for its olive oils. It is here among the rolling hills, that he is inspired to pursue his passion and become an olive oil craftsman. Over the years, Filippo Berio worked hard to perfect his craft: he chose the finest olives and pressed them with care and attention to create the pure and delicious oil. Season after season, his reputation grew until his olive oils received national success: sold and distributed throughout Italy. After over 15 years of olive oil expertise, the Filippo Berio brand is finally registered. The first official record of sale takes place in Filippo’s home town of Lucca, Italy. Filippo Berio receives his first awards for his high quality olive oils at the Exposition Universelle de Lyon, in 1878 at the Exposition de Paris and again in 1893 at the Colombian exposition in Chicago, USA. Albertina Berio and Giovanni Silvestrini join forces with other prominent olive oil and wine producers to form a cooperative association named SALOV. To respond to ongoing demand SALOV opens a fully equipped olive oil refinery in Viareggio, Italy. SALOV interrupts all olive oil production activities. Later in the 1950’s, production resumes with the introduction of more modern olive growing techniques. 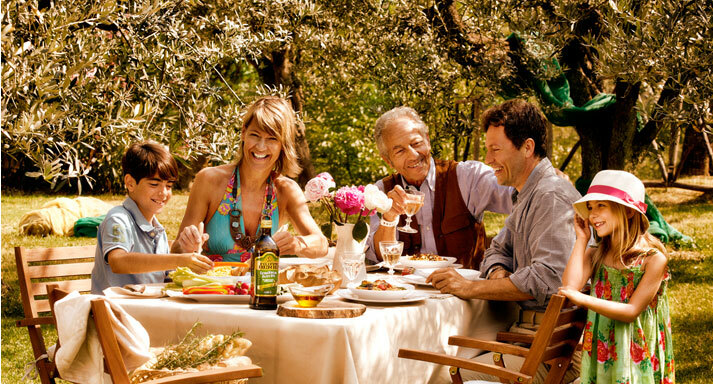 In 1960/70 after the war, the Filippo Berio brand name continues to grow and garner success across the globe, thanks in part to numerous studies proving the health benefits of olive oil. To meet growing demands and market needs in North America, SALOV opens a new subsidiary in New Jersey, USA. A little over 12 years later, SALOV opens the Filippo Berio UK subsidiary in London, England. Salov moves its production facility to Massarosa, Italy just a short distance from Filippo Berio’s hometown of Lucca. The new plant is equipped with sophisticated modern equipment used to uphold strict production and quality controls. In 2011, Filippo Berio establishes a new subsidiary office in Singapore. The historic Filippo Berio logo gets a makeover: the worker bee which for years distinguished every bottle is replaced with the face of Filippo Berio himself. Later in the year, a new representative office is opened in Moscow, Russia. As the custodians of his legacy, SALOV continues to honour Filippo Berio’s passion, artistry and commitment to excellence today, tomorrow and for years to come. 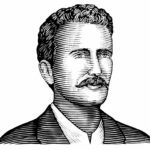 Over the next forty years, Filippo Berio built up his business and became widely respected for his knowledge of Olive Oil. Three years before he died, he formed a partnership with Giovanni Silvestrini, securing the future of his oil. 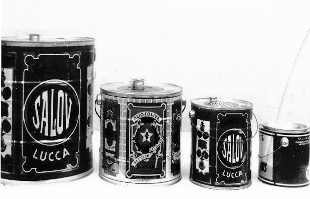 In 1910, Silvestrini joined forces with Dino Fontana (both from Lucca) to form Salov – a new company encompassing Filippo Berio along with several other prestigious Olive Oils. Salov continued to grow and expand, surviving World War II to become a leading producer of quality oils, recognised and respected in Italy and across the world. 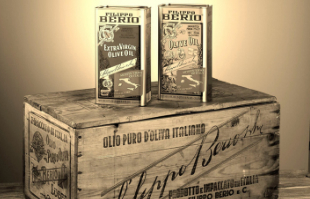 Since the 1960s, when the benefits of olive and other vegetable oils became widely known, there has been a continuing demand for high quality Olive Oil and Filippo Berio’s fine flavour, versatility and health benefits have ensured the brand’s lasting popularity to this day. Filippo Berio is still based in Lucca and is the premier brand of Salov. Sophisticated modern equipment is now used in production and quality control and these sit alongside traditional practices. For example, every batch of Olive Oil is still personally tasted before being approved for dispatch. Today Salov has operations around the globe and is one of Italy’s largest food exporters.